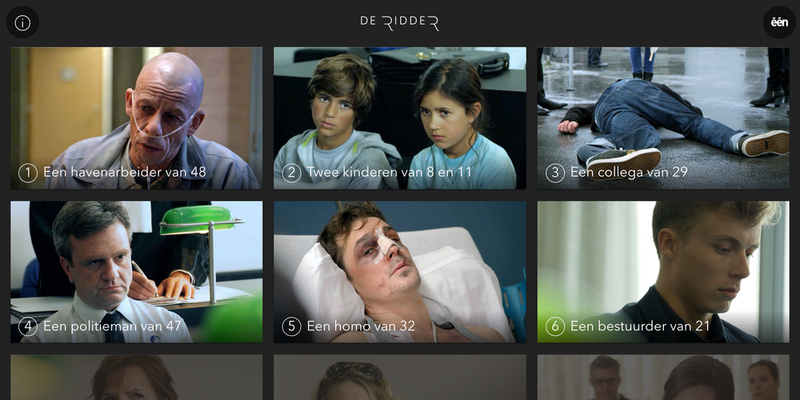 For the second season of De Ridder we improved the User Experience and user journey of our Storyline app. We've crafted native versions for iOS and Android, while still being generally accessible as a rich web app. Synced with the popular TV drama, viewers receive regular updates on their mobiles and tablets, engaging them deeper into the story. Informative updates, SMS messages, music snippets, dilemma's and other information totally immerse the viewers into the show. Vut also after the broadcast, the viewers can relive the episode and explore story timeline, enhanced with more context and video snippets.